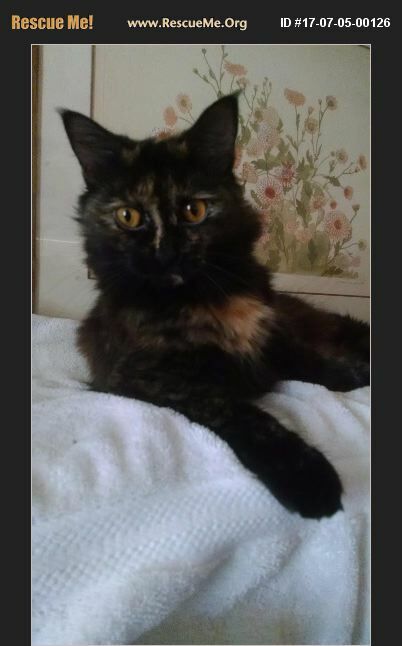 Sparkles is a darling young medium haired Tortoise shell girl. She has mild manners and a very sweet chirping voice. Sparkles loves to sprawl on her favorite chair. She will greet you at the door when you get home. She's quiet but not shy. No 'Tortitude' here! Just a real sweetheart! Please let her dance her way into your heart! Her young family had to move and 'could not take her with them.' We agreed to help her out. She has been a wonderful kitty to live with, and we recommend her highly. She gets along well with other cats too.